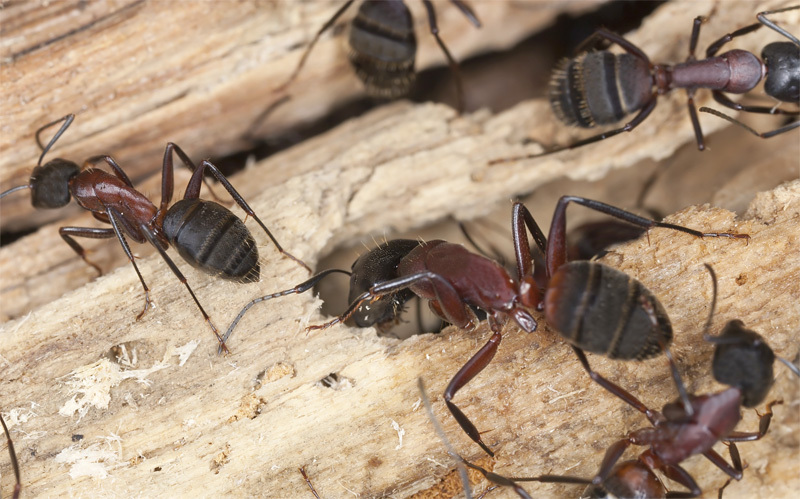 The most common type of Carpenter Ant here in the Pacific Northwest is the Camponotus modoc or western carpenter ant. It tends to be a black ant and sometimes has dark red legs. 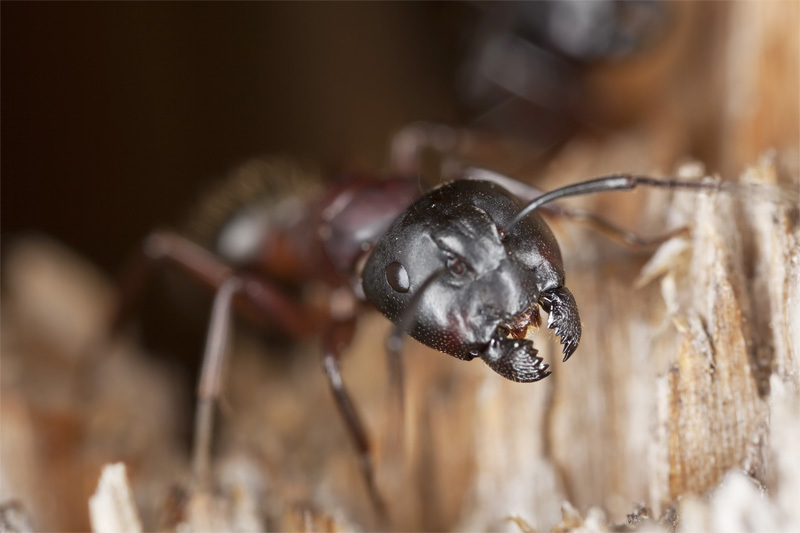 Carpenter ants like to make their homes in hollowed out wood. Common nesting areas around the home could also be tree stumps, firewood, and also landscaping. It is also common to see nesting in water damaged wood. Carpenter Ants can make their way into a home or structure by way of window cracks, doors, and holes for wiring and plumbing. It is not uncommon to see a large colony traveling outdoors on overhead electrical wires and tree branches. Once a colony is established, or mature, there will often be “satellite nests”. This is usually what pest professionals will find nesting in structures. There are often multiple satellite nests. Once a colony has set up shop inside a structure, it is best to have a professional evaluate the infestation, and come up with a plan for maintenance. Treatment for Carpenter Ants can vary depending on the time of year, and where the nest is located. 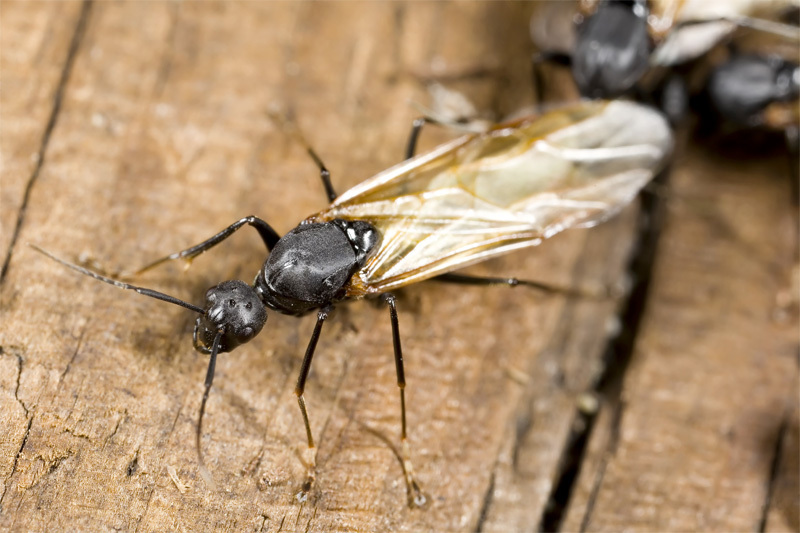 If you see carpenter ants trailing around your home, or evidence of an interior infestation, call us for no cost inspection.